Learn the world's greatest un-gimmicked, impromptu, anytime anywhere book test! 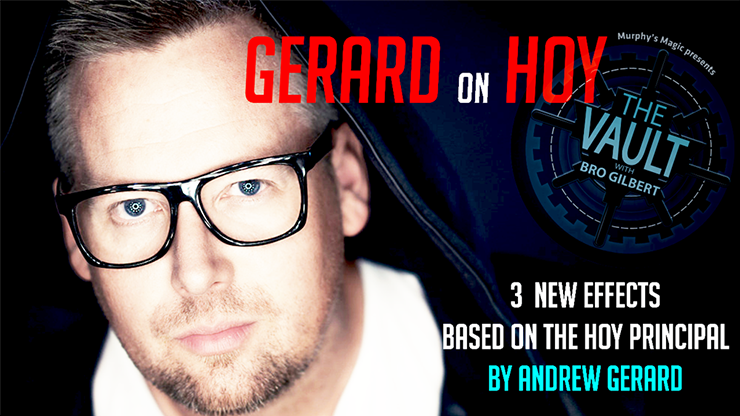 Plus 3 incredible new routines based on the Hoy principal from Andrew Gerard. Bro Gilbert joins Andrew Gerard on this first installment of their studio sessions series for a no nonsense, no hype, jam session on David Hoy's legendary principle. A rare opportunity to get inside the head of one of magic's most original thinkers and creators. Gerard on Hoy is a master class on how to approach a classic plot and turn it on its head, resulting in relevant and incredible new magic.